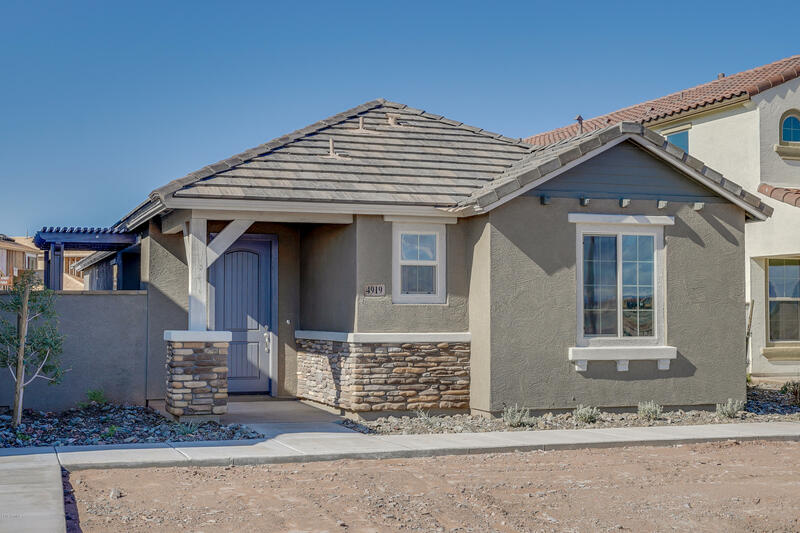 All Eastmark Development Unit homes currently listed for sale in Mesa as of 04/23/2019 are shown below. You can change the search criteria at any time by pressing the 'Change Search' button below. "BEAUTIFUL....Newer luxury home, owned less than 1 year. 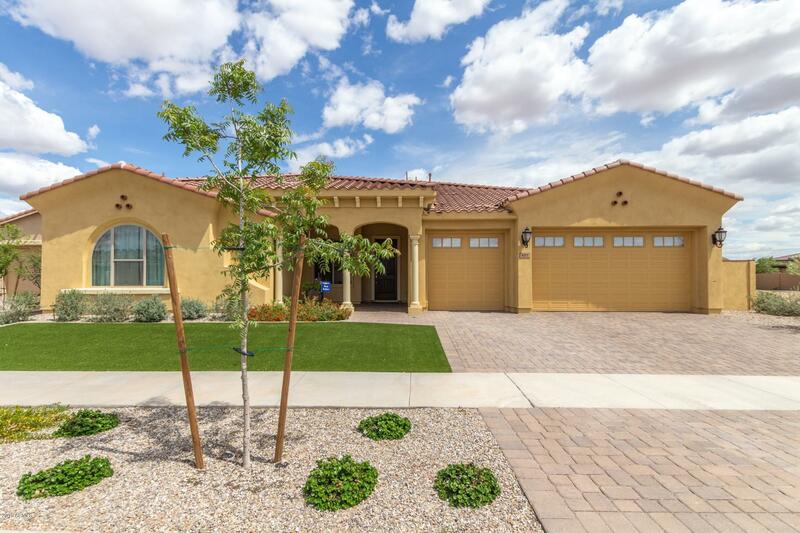 This 4 bedroom, 3.5 bath, and 3 car garage home has no detailed spared! Over $120k in designer upgrades. 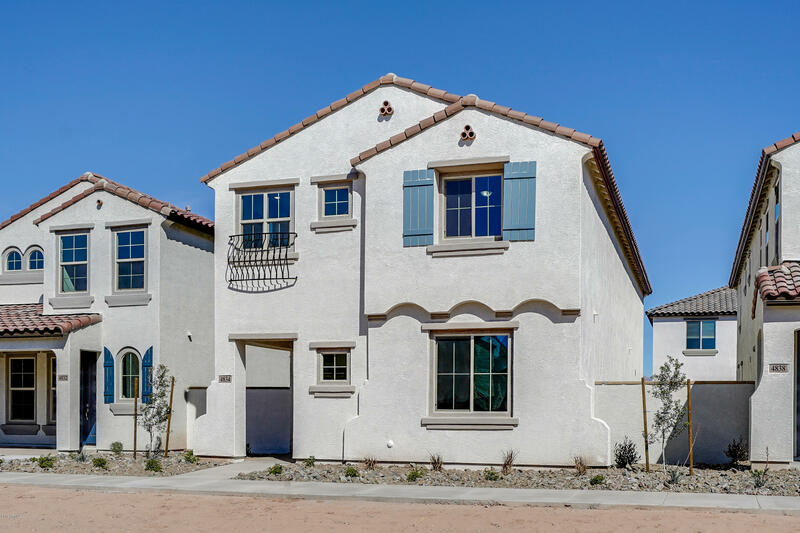 The home features a gourmet chef's kitchen with upgraded stainless appliances, gas cook-top, over-sized quartz island with walk-in pantry, and custom built-in hutch added exclusively in the dining area. 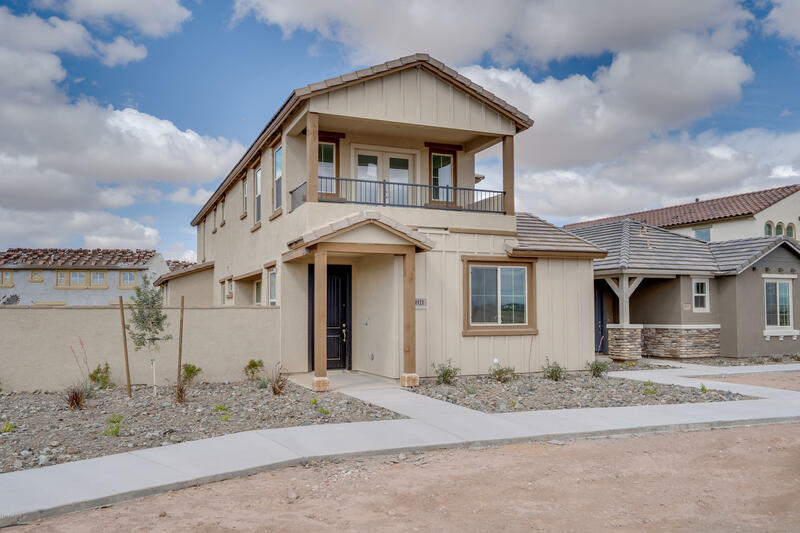 The split floor plan features upgraded tile flooring, crown molding, and added can lights. Hunter Douglas blinds and draperies all wit"
"Beautiful new-construction fully completed home! This home is our Popular Quattro plan, with the 4th bedroom option, a standard loft, plus, a third car garage option as well! This home features a modern styled interior with custom upgraded grey and white maple cabinets that include soft-close hinges & cabinet hardware standard, and an upgraded quartz countertop in the kitchen. Upgraded Stainless-steel appliances, gas Range/oven, Microwave, and dishwasher, are included. Outside, the home has a pr"
"Beautiful new-construction fully completed home! This home is the best-seller Millennial plan, with 4 bedrooms, a standard loft, plus, this home features a 500 sq ft bonus loft! A modern styled interior includes soft-close hinges & cabinet hardware on upgraded grey maple cabinets with granite slab countertops in the kitchen. Upgraded Stainless-steel appliances, gas Range/oven, Microwave, and dishwasher, are included. Outside, the home has a private yarded a covered patio. Exterior landscaping at"
"Beautiful new-construction fully completed home! This home is the popular 2 bedroom configuration of this floor plan, with a contemporary operational garage door that opens to the outside! A modern styled interior includes soft-close hinges and hardware on upgraded white maple cabinets with gorgeous quartz countertops in the kitchen. Upgraded Stainless-steel appliances, gas Range/oven, Microwave, and dishwasher, are included. Outside, the home has a private yard with a pergola patio. Exterior l"